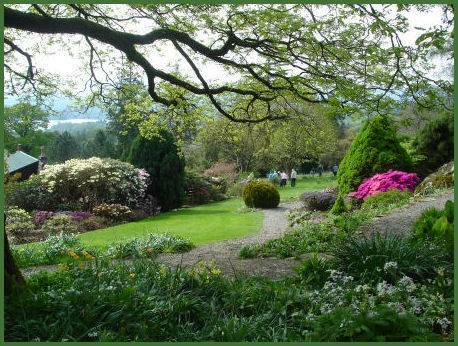 Beautiful Holehird Gardens, which lie about a mile from the town of Windermere, occupy a hillside on the southern side of the Troutbeck Valley and are well worth a visit. The gardens, which are maintained entirely by volunteers, are spectacular, and were voted on BBC Gardeners' World to be one of the Nation's Favourite Gardens in 2002. 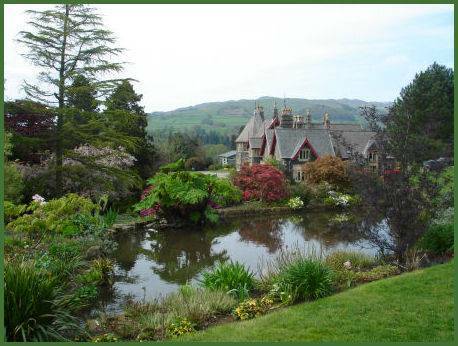 They encompass ten acres in all and are owned by the Lake District Horticultural Society. 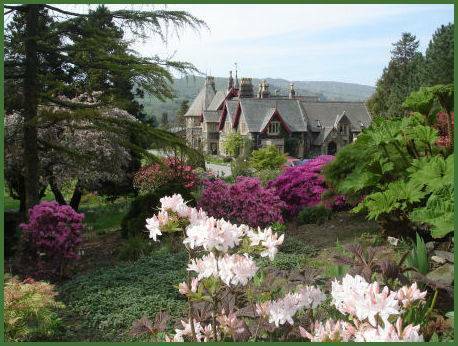 Holehird hosts a superb collection of plants including many fine rhododendrons, azaleas and alpines, which are bright with colour in the spring. The gardens are equally superb when clothed in vibrant Autumn colour. 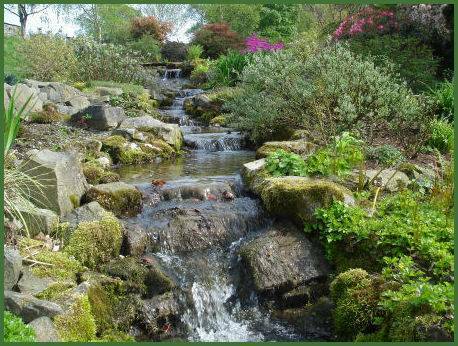 The gardens are set within the grounds of the Holehird Estate and administered by Cumbria County Council. 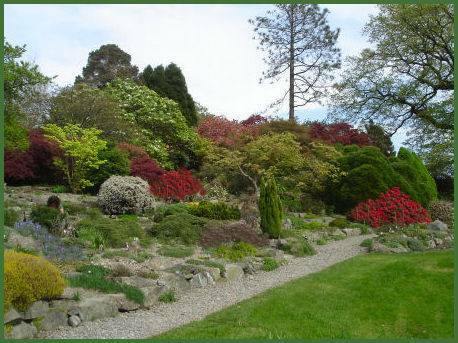 Among other features, they have an attractive rock garden, with a vast collection of alpines, water garden, a daffodil meadow, a kitchen garden, stream garden, an enchanting woodland garden and an orchard. There are two Alpine Houses, a display house and a Victorian house with a tufa wall, the garden also hosts the National Collection of Astilbes. The Walled Garden was originally a kitchen garden for the mansion and then a tree nursery before the Lakeland Horticultural Society acquired the site and developed it. The herbaceous borders provide a colourful display in late summer and contain a wide selection of interesting perennials, bulbs and corms. The house itself is not open to the public. The famous children's author, Beatrix Potter once stayed at Holehird whilst holidaying in the Lake District with her parents. 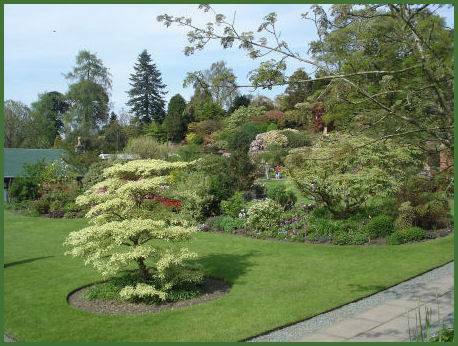 There are some excellent views of Lake Windermere and the Lakeland scenery from the gardens. In the Reception there is an interesting display area featuring exhibits on a variety of garden related subjects such as climate, soils and plant trials conducted by the Society. The emphasis of the display for 2006 is The History of the Walled Garden. 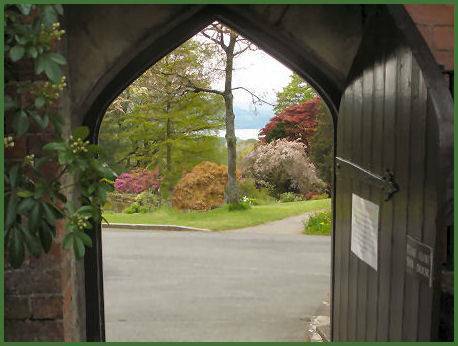 Guided walks through the gardens for small parties are held on Wednesday mornings at 11.00 a.m. (in season only) Toilet facilities are provided, including a toilet for the disabled. Dogs, except guide dogs, are not allowed.